Robinson Band & Orchestra RAMWEAR! in our secondary school band and orchestra programs. please feel free to mail a check to P.O. Box 39, Fairfax Station, VA., 22039. 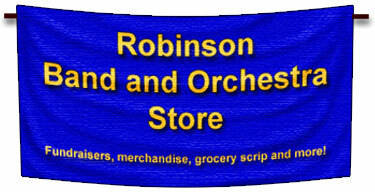 Supporting Robinson Bands & Orchestras with pride!